I'm Jason Rogers, and I created this site as a resource to help you get the next level in your fencing. I was fortunate enough win an Olympic Silver Medal in men's sabre with my 3 teammates at the Beijing Olympics in 2008. 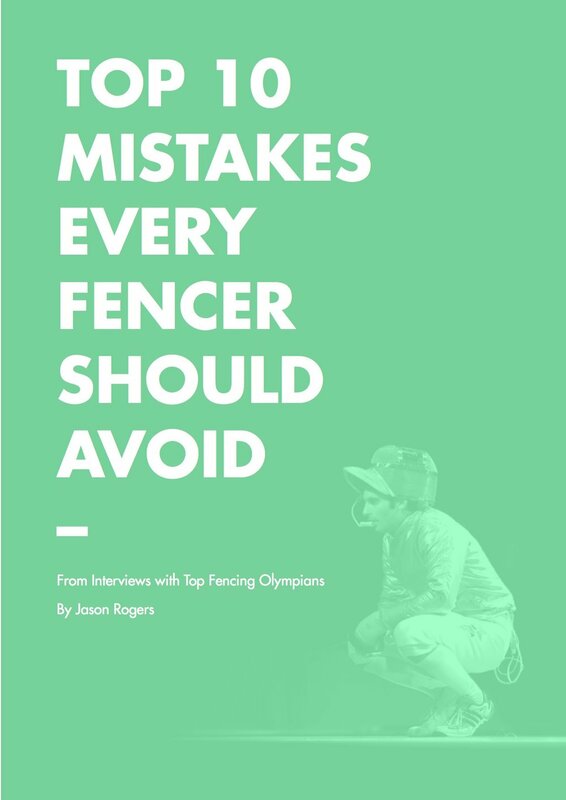 Get the FREE GUIDE compiled from extensive interviews with top fencing Olympians, such as Mariel Zagunis, Daryl Homer, Miles Chamley-Watson and Keeth Smart. The question I am most often asked is: How do you deal with nerves before a competition? I believe the key to a strong mental game is to master one simple trick. It’s called reframing. Nearly every experienced fencer has spent a few precious moments in “the zone,” that place we reach in our minds when our best fencing happens naturally. But what does it feel like? How do we get there? When you wake up in the morning, do you experience resistance? How should you deal with it? You must train like a professional. This week at Better Fencer, Chuck Rowland discusses the importance of stretching stronger - the act of improving strength throughout a muscle's range of motion. This is achieved through resistance stretching, and is scientifically much more important for injury prevention than joint range of motion, which is achieved through static stretching.